October is time for more than dressed up ghouls and sacks of sugary sweets. 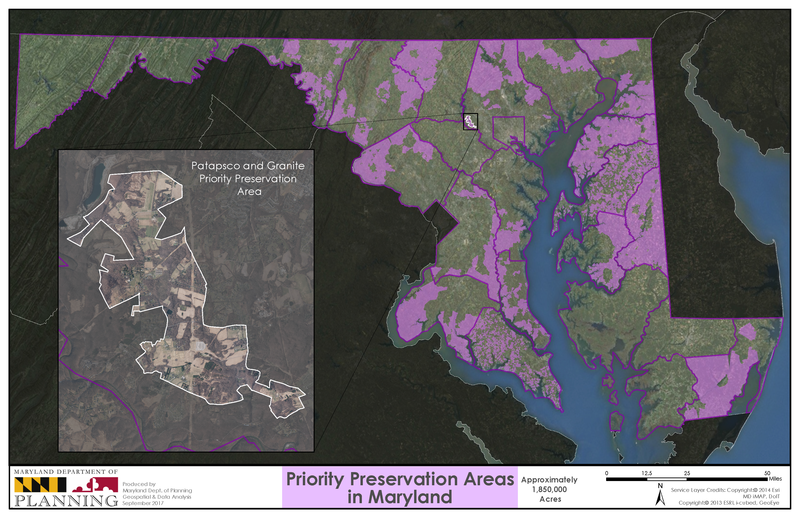 This October, 12 of the 16 counties whose land preservation programs are certified by The Maryland Department of Planning (Planning) and the Maryland Agricultural Land Preservation Foundation (MALPF) will be applying for recertification (Anne Arundel, Baltimore, Calvert, Caroline, Carroll, Cecil, Frederick, Kent, Montgomery, Queen Anne’s, St. Mary’s, and Worcester). Certified counties benefit by retaining 75% rather than 33% of locally generated agricultural land transfer tax, which must be used for land preservation. In place since 1991, the certification program is codified in Planning’s statute and regulations. During the summer of 2017, staff from Planning and MALPF met with the agricultural land program administrators from 10 of the 12 counties applying for recertification. At these meetings, Planning presents graphs of a variety of metrics by which, in part, we evaluate and compare certified programs. Planning also supplies maps displaying developed and preserved areas, both to provide insight into county land preservation programs and to ensure that our Geographic Information Systems (GIS) preserved land data is correct and current. Planning can raise concerns or recommendations, if any, about the local program and discuss the content required in a recertification application; county program administrators can ask questions and air concerns about the state program. During these meetings, Planning also offers its land preservation technical assistance to enhance programs, such as the Transfer of Development Rights Program, which it is actively promoting. This back and forth and transparent communication is vital to good planning, mutual understanding, and the formulation of shared objectives. After the meetings, the counties may submit, if they wish, a draft certification report. Planning reviews and returns it with comments and requests for revisions or additions. This process ensures that the application will be complete when county officials sign and submit the final version. For a county to be certified or recertified, both MALPF and Planning must approve the application. So maybe October is most famous for its candy, but for Maryland land preservation efforts, it is also well known for pre-recertification meetings. To learn more about this process and the MALPF Program, or to schedule a meeting, please contact Dan Rosen at Daniel.rosen@maryland.gov or 410-767-4577.